(SAVANNAH, GA) What does hunger in coastal Georgia look like? It’s a mother of three, juggling multiple jobs to afford daycare and feed her children; an elderly man living on social security and attempting to pay for the expensive, life-saving medicines he needs to survive; a child struggling to concentrate in class after eating a candy bar for breakfast. Mary Jane Crouch, executive director of Second Harvest, wrote an article about the facts surrounding hunger in our area, and what programs Second Harvest has set up to help end this crisis. 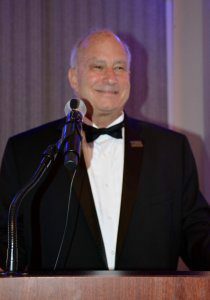 Visit http://savannahnow.com/accent/2017-11-09/put-hunger-out-business to read the article. (SAVANNAH, GA) The Junkluggers of the Coastal Empire, Savannah’s eco-friendly and caring alternative to traditional junk removal, is holding a food drive to benefit America’s Second Harvest of Coastal Georgia food bank. 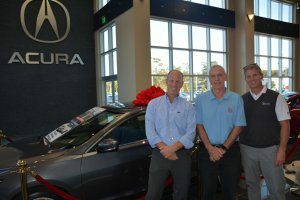 During November, Hess and his wife, Misty, who is also his business partner, will be asking customers to participate by donating non-perishable foods at the time of service. They hope to raise $2,400 and collect 15,000 food items. For more information, visit www.junkluggers.com. (SAVANNAH, GA) “Sammy and Grammy in Downtown Savannah” is a laugh-out-loud children’s book with valuable life lessons to be learned. Written by local author Maxine Pinson, author of “Lowcountry Delights Cookbook and Travel Guide” (co-authored with her daughter Malyssa), “Sammy and Grammy in Downtown Savannah” is expected to be available in late November–just in time for Christmas shopping. A “Sammy the Squirrel” coloring sheet will be included with each book ordered, as long as the limited supply lasts. For complete details and ordering information, go to “How to Order Book Online” link at www.sammyandgrammy.comand follow the directions. (SAVANNAH, GA) Nearly 1.3 million people in the United States are living with, or are in remission from, leukemia, lymphoma or myeloma. 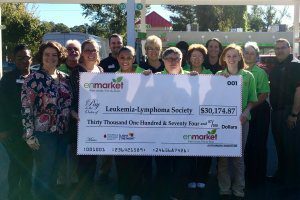 In an effort to help support the fight against blood cancer, enmarket stores sold paper icons to collect donations for the Leukemia & Lymphoma Society (LLS), and raised over $30,000. For more information, visit www.enmarket.com. (SAVANNAH, GA) Healthy Savannah and enmarket are accepting speaking nominations for the 2018 Encourage Health Educational Series. This marks the fifth year for the health-focused series, which features speakers on nutrition, fitness and tips for living a healthy life. Applications should include the presenter’s name, title, company and contact information, along with the proposed topic and a short description of what the audience would learn. Please attach a bio and headshot. All submissions will be reviewed by the Encourage Health advisory board. Anyone who has an idea for a health-oriented educational program should submit the concept to Paula Kreissler at paula@healthysavannah.org. The deadline is Thursday, Nov. 30. 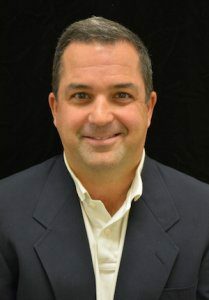 Bethesda Academy President H. Michael Hughes, Ph.D.
(SAVANNAH, GA) Ronald McDonald House Charities of the Coastal Empire is hosting a Wine & Fries fundraiser on Thursday, December 7 from 6 – 9 p.m. at the Ronald McDonald House, 4710 Waters Avenue. The event includes a silent auction, fun food, drinks, music, and more. Tickets are $50 per person and may be purchased at https://www.eventbrite.com/e/wine-fries-2017-tickets-39251919548. Tickets are $25 for Red Shoe Members and should be purchased by calling the Ronald McDonald House at 912.350.7641. All proceeds benefit the Ronald McDonald House Charities.